A really valuable aspect of XLD is its hierarchical structure – it can represent a circuit with a symbol; it is a real systems thinking tool. 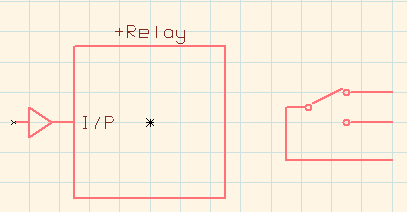 For example, the circuit diagram for a relay and driver . . .
. . . can be represented by a symbol or ‘block’. 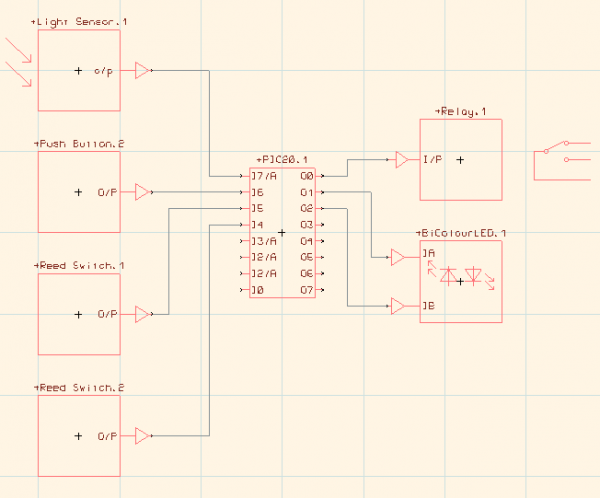 By translating their picXplorer system (such as the one shown in the photograph above) into a block diagram (using a library file provided for them) . . . If the picXplorer file (or whatever library file used) is set up correctly, the power supply details will automatically be taken care of in the background. 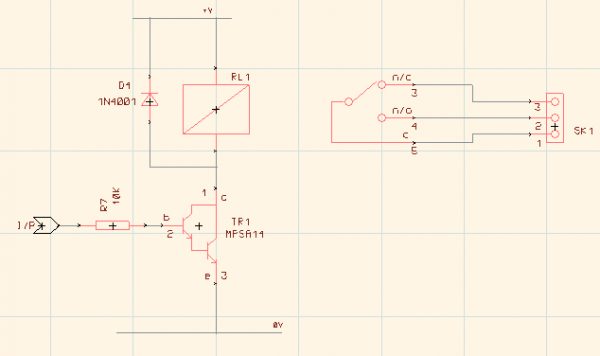 The circuit detail of each block is readily available for students to view.